When are they going to invent teleporting? 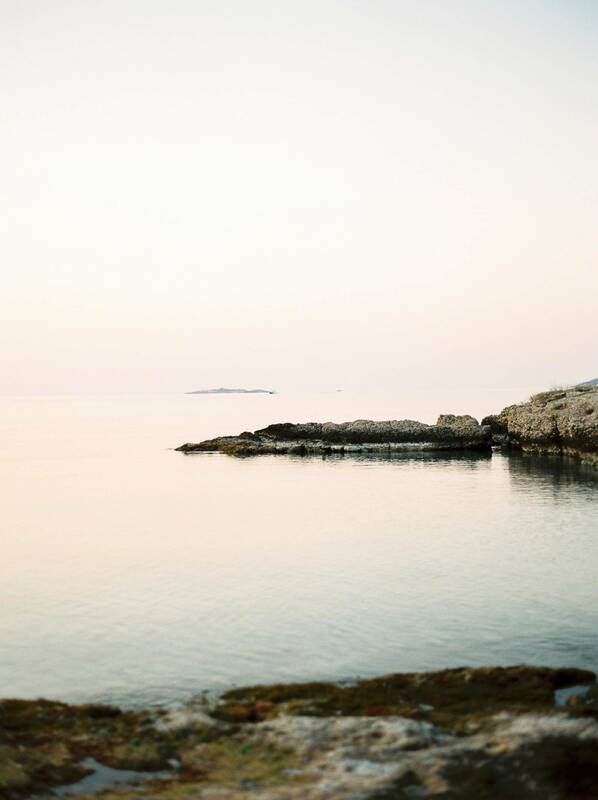 Because as soon as they do I want to teleport myself back to this magical spot on the Greek Island of Spetses where this shoot took place during the PHOS workshop with Calgary wedding photographer MILTON PHOTOGRAPHY and LES ANAGNOU. And as I was there in person I can assure you it was 100% as magical as it looks! Captured just after sunrise giving it an ethereal nature, it features a stunning table designed by Justin from MILTON PHOTOGRAPHY with help from THINK HAPPY EVENTS. A beautiful gown by THE JET SET DIARIES gave the bride a stylish, modern yet very pared back look and worked perfectly with the groom's light grey suit. 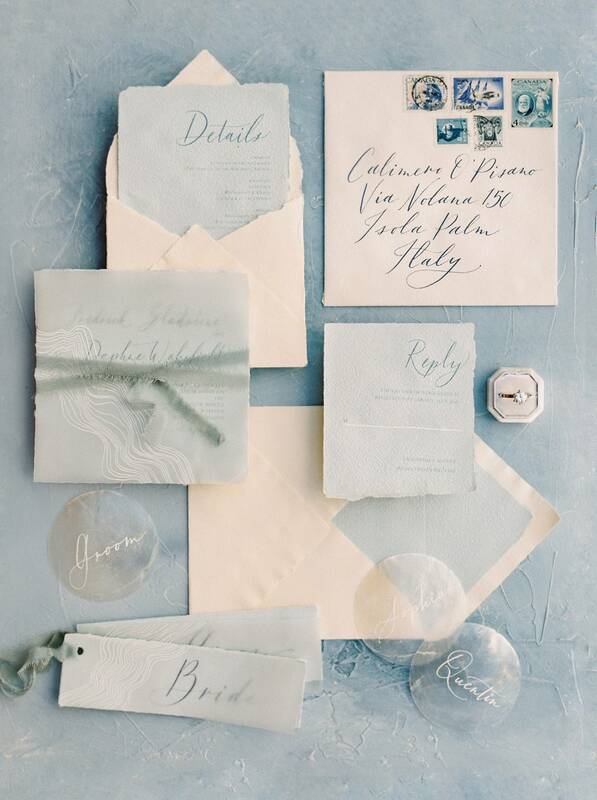 PAPER OCELOT designed the perfect paper suite for a coastal celebration in shades of soft blues and creams.